"You’ll find yourself tapping your toes or nodding your head along to this one." 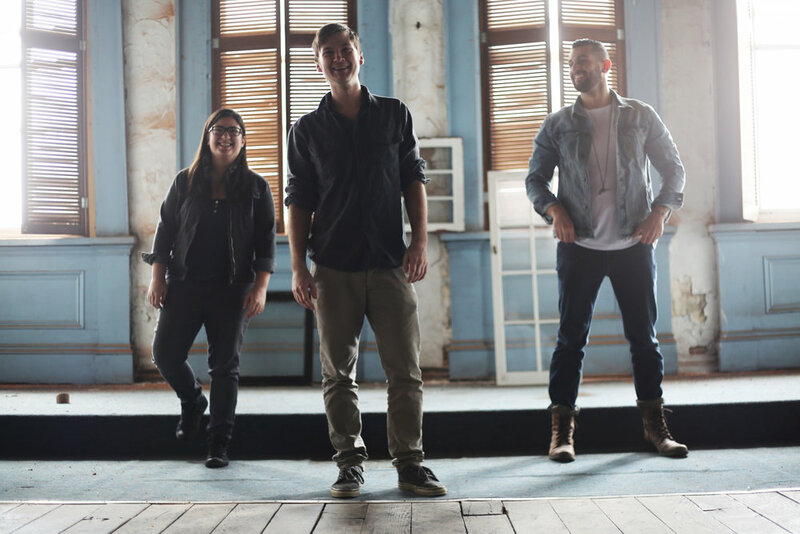 "indie trio The Mason District – hailing from Cleveland, Ohio – have hit it out of the park with their infectious new single. ‘Lose Your Mind’, taken from their new EP The Blue Room pt.1 out now, is packed to the rafters with positive energy." "This track “Lose Your Mind” is straight up one of the best rock songs we’ve heard in all of 2018." "The Mason District have worked in perfect harmony to create a track that would be the perfect addition to any feel-good indie playlist." 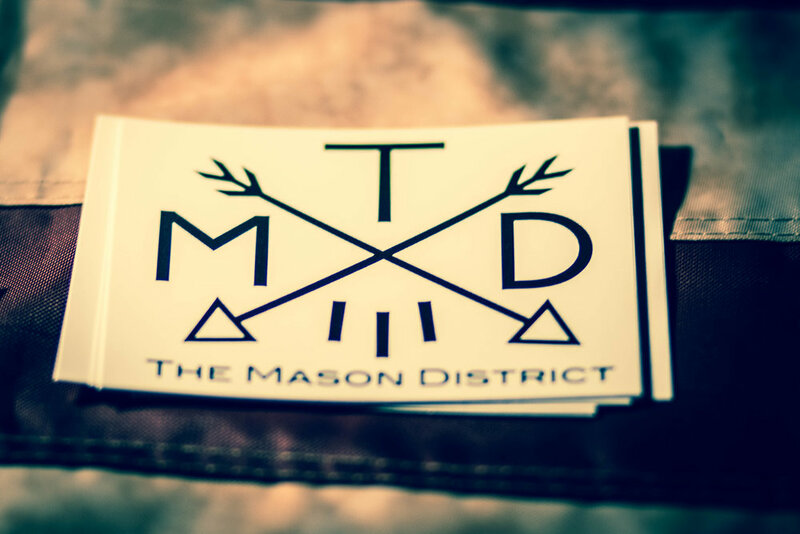 Officially founded in 2015, The Mason District is an indie rock band from Cleveland, Ohio. The band consists of lead singer and guitar player Tom Tobias, bass player and singer Maria Petti and drummer Collin Nutter. The Mason District's journey began years ago, even before the three band members met. Tom was busy, tirelessly learning how to play guitar and write music and lyrics. Maria was also learning and writing new songs. At the same time, Collin was enhancing his skills as a drummer. After years of individually practicing the three met at a local open mic night and decided they wanted to create music together. “It all started with Maria”, says Tom. “I met her at an open mic night where I was playing. She was this little, shy girl that didn't say much. As soon as she started playing and singing, I knew I wanted to work with her and ultimately become great friends. It wasn't until a few months later that Collin came into the picture. I was hosting an open mic at this time, and immediately took notice to Collin. He took the stage with a friend and started playing a Black Keys song. Coincidentally, I had been trying to write and play the same type of music. I introduced myself and started working with Collin and his friend Jeff on rock covers as well as writing new material in that genre.” Tom worked with Maria as well, on cover music and some of their own music for acoustic winery gigs, in addition to working with Collin and Jeff on other music. Finally, after realizing the small band formed by Collin, Jeff an Tom needed a bass player, Maria jumped into the game. Before they knew it, Tom, Maria and Collin decided to form The Mason District after Jeff had dropped out due to creative differences. The three spent a couple of years getting to know each other. They learned how to work with each other and develop their sound and have since been performing in the local Cleveland, Ohio music scene. “We are all inspired by different music,” say the three band mates. The Mason District pays homage to the likes of CCR, Led Zeppelin, Steppenwolf, David Bowie, Steely Dan, James Taylor, the Motown Era, Bob Dylan, Zach Deputy, Jack Johnson, Kings of Leon, Cage the Elephant, Portugal. The Man, Alabama Shakes, the list could go on forever. “All of these influences have played a huge part in the making of our music,” say Tom and Collin. The Mason District is inspired by music of course, however, they use the environment surrounding them in addition to events in their lives to create and bring their stories to life. “I can be inspired by anything around me. It can be something as simple as the way a person looks at me or something I see happening at a certain time. I like to view music as writing a score to a movie. How can I bring the image in my head to life?” says Tom. In December of 2016, The band released their first EP/Album titled Shotgun Soul. Shotgun Soul featured raw instrumental as well as vocals to produce a melodic sound that was necessary in the development of The Mason District sound. The three agree Shotgun Soul was a learning experience and needed to happen to help in the creative process. “ We continue to use the basic fundamental sound we used in Shotgun Soul in the writing process to create our music,” says the band. The Mason District is made up of more than musicians. The three members are part of everyday society just like the people and events that inspire them. Tom Tobias is a registered nurse in the critical care area of a local hospital giving back to the generations that came before and helped raise him. In addition to music, Tom likes to spend time surfing the Great Lakes all year round as well as spending time in the great outdoors. Collin Nutter has a degree in audio engineering and plays a role in the production of the bands music. Collin also dips into the extreme sports world, snowboarding when he can in the winter and spending time in the outdoors. He is also a wealth of information. Maria Petti is a very talented musician. She is an acoustic staple in the winery/bar scene in Northeastern Ohio. She also hosts a local open mic night. Maria loves bike rides, canoeing, camping, fishing and hiking. Tom, Maria and Collin, now great friends, have come together to tell their story by bringing imagination to life and engaging audiences to take that journey with them. The Mason District is currently in studio working on new music for 2018. “After all is said and done, we really enjoy making good music and sharing it with our fans,” says The Mason District.